DO NOT BE ALARMED!! Today is Panic Day! I'm not really sure what that means, but the Internet said so, so it must be true!! I'm usually a fairly easy going person, but even I panic at times. In honor of this silly, made up holiday, today we are sharing 10 things that make us panic! Sometimes I dream that I'm walking down the street and I fall off the sidewalk. This dream causes me to jerk away all of a sudden and sometimes I have a hard time going back to sleep. When I wake up in the morning and don't know what time it is, I have a brief moment of panic that I've overslept and I'm running late. Nothing like an adrenaline jolt to start the day! I have a sleep walker in the house. Usually when he gets up out of bed, it's before I have gone to sleep, so I can gently lead him back to where he's supposed to be. One night, however, I awoke to the sound of our front door being opened. The chain had caught the door and bounced it back shut. I panicked because I thought someone was breaking in. Turns out it was just Henry trying to escape in the middle of the night. Thank God for that chain!! There have been a few times lately where Benjamin has thought it would be amusing to ignore me when I call for him. Twice he's been hiding under the dining room table, but this past weekend he was outside (we were all outside) and in the backyard without my knowledge. Needless to say, I panicked for a moment because I didn't know where he was! The phone rings. The caller ID says it's the school. There is always a moment of panic as I wonder who is sick or in trouble and how I'm going to rearrange my day. Sometimes it's just a general phone call, though. We've had quite a few snow days this winter. I've even had enough days off from work to surprise me. All through this, though Ken has had to work. I try really hard not to, but when he's driving to or from work and he takes longer than I expect, I start to panic a little. Two weeks ago with all the cold weather we had, I walked downstairs to find...water in my basement! Actually we had three different water incidents: one was a burst pipe (fairly easy fix), one was a leaky washing machine hose (easy fix, hard to diagnose), and water creeping up from under the house. All three incidents caused varying levels of panic. Computer crashes make me panic. There's not much worse than working on a project for hours and then seeing the spinning wheel of death (on a Mac) or the endless hour glass ( on a PC). Sometimes you can fix it and recover things. Other times everything is lost and you have to start completely over! Writing scheduled blog posts makes me panic sometimes. It's especially stupid with posts that have a deadline. It's not like I don't know about the deadline, but I put things off and then I worry that I won't get done in time. 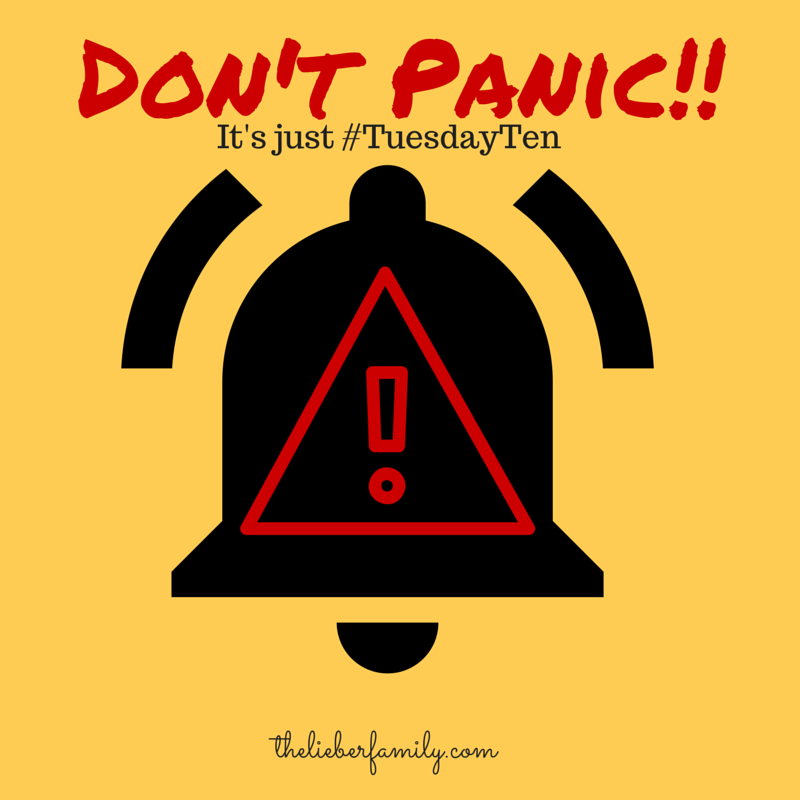 What makes you panic?Tell me in the comments or make your own list to link up for #TuesdayTen! Come link up again next Mar 10- (March 9 is Panic Day) 10 Things that make you panic. No pressure, or anything! The school calls and schedule blog posts do it for me everytime, too! A missing credit card also makes me panic! I'm sure as Eve gets older her school calling will have a similar effect. A family member running later and not answering their phone also makes me panic. And, water in the basement always makes me panic. I lost my debit card last week, only to find it in the bottom of the hamper 3 days later. Too late at that point, because my "panic" had already sent me scurrying to the bank to cancel it! 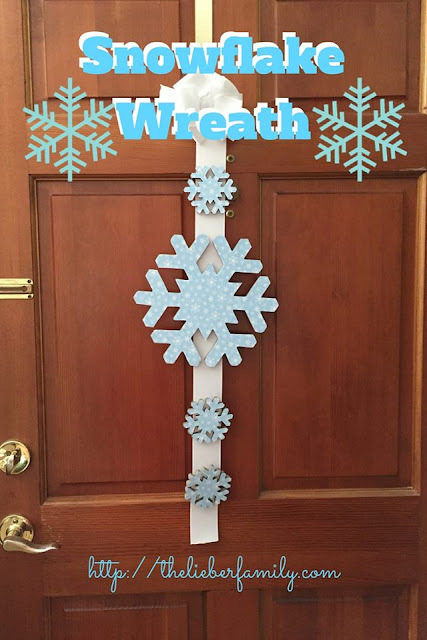 I think all of the items on your list are panic worthy, the chain on the front door would have given me a heart attack! 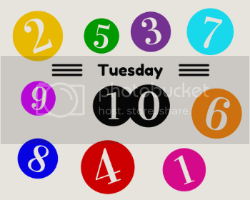 #9 & #10 - I was writing my Tuesday Ten post at 9:30 last night in a panic. I went to add a graphic and got the wheel of death. I waited for a couple minutes, but eventually had to close out of everything. My blog post that was 3/4 done - GONE!!! Had to start over from scratch. Ugh! I have a ton of ideas written down, but I'm just too lazy to carve out a solid block of writing time. Reading what makes other people panic apparently makes me panic more!! Even the robo calls from school were starting to get to me last week with all the snow delays. Every time the phone rings when there's snow, I cringe. LOL! You lost it in your own wallet! That's great! Oh gosh! I knew where mine was likely to be because I'd had it out at Dairy Queen and knew I hadn't put it back. I was most worried that I wouldn't be able to pay for my groceries! OH NO!! I've had that happen too many times to count. You did a great job on the post, though, so it all turned out well. 1, 2, 6 and 9! For sure. I'm always afraid the school will call me. It happened during the first month of school! Poor Scarlet had a fever. And I rushed to get her that afternoon, forgetting that during her school hours, I had bought her a giant Kitty Surprise to be given months later during the holidays, but I didn't have time to go home and hide it. So she.. saw it in the front seat and was really happy. Anyway, that was a tangent! LOL! I love comment tangents! I do the same thing on other people's blog. And when I get to the end I think, "They didn't need to know all that!"